Our next meeting will be held in the club room (at the end of the hall next to room 433 in Simrall Hall) on Thursday, Feb 28th at 5 pm. The last Thursday of each month at 5 pm will be our nominal meeting time this semester (unless otherwise decided, for schedule conflicts, etc.) Hope to see you there! We will be holding a VE session on Saturday, March 5, 2016. Location: Room 129 on first floor. We will be holding a VE session on Saturday December 5, 2015. We have a meeting this month at 4:00 p.m. CST. It will be in Simrall 433a (the club room). Be there if you can. The Fall semester has started which means the weekly net will start up again. The first net of this year will be Monday, August 31 at 8:00 p.m. CST on our repeater. Mississippi State has employed an organization system called OrgSync. Its purpose is to streamline and simplify organization logistics for any club on campus. To best utilize this system, we shall be keeping with membership on OrgSync. Our OrgSync page is https://orgsync.com/108272/chapter. You can sign into OrgSync from your Mississippi State account; if you do not have a Mississippi State account, you can create an account with OrgSync. 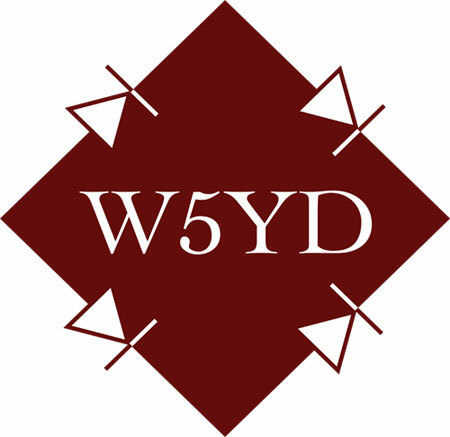 Once you have signed up with OrgSync, please request to join the W5YD club as to keep track of membership. Please try to sign up soon. Let’s all have a wonderful year with amateur radio. We shall be holding a VE session on Saturday February 21, 2015. Location:Room 129 on first floor. Please be sure to come to the monthly meeting on October 30, 2014 at 18:00 CST. We will be voting on the revised constitution for the club, so be sure not to miss it. Also we shall be collecting dues ($20) for this year at the meeting. Based on responses from members, we will have our first meeting Thursday at 6:00 PM in the Shack in Simrall to discuss club business, set a meeting time/location that is best for everyone. Someone will listen to the repeater should any member not have access and need to be let in. W5YD will be winding activity back up again. We will restart the weekly net next Monday (17 August 2014) at 8:00 PM. We will determine when we will have our first meeting and set our monthly meeting at that time. An email will be sent out to members next week as well to figure out when we will meet. As a heads up, we will be hosting a VE session during our 2014 Field Day.